The Lion Guard: The Series - Simba's son, Kion, assembles a group of animals to protect the Pride Lands, known as The Lion Guard. Description: The Lion Guard meet a drongo, a bird that can imitate other animals' voices, that scares off other animals to get food. Description: Believing that Rafiki's paintings predict the future, Bunga enlists the rest of the Lion Guard to save Kion from danger. Description: Kion and the Guard must lead a large herd through the Outlands to find a less crowded grazing ground. Description: When Bunga and Simba are trapped underground, they discover a shared family background – they were both raised by Timon and Pumbaa. Description: The Guard must help a leopard stand up to a bully challenging his territory. Description: Janja replaces Chungu and Cheezi with two new hyenas in an attempt to sideline the Lion Guard. Description: The Lion Guard rescues a baby baboon and Fuli returns the baboon to its mother. Description: When tales of a mysterious creature plague the Pride Lands, the Guard must conquer their fears and track down the elusive beast. Description: The Lion Guard must choose whether to side with the hyenas or the lions when Jasiri, the good hyena, asks for help. Description: Fearing he has lost control of his roar, Kion vows to never use it again. Description: Simba gets left in charge of the Lion Guard when Nala takes Kion and Kiara on a journey. Description: Ono meets his idol, legendary eagle Hadithi, and learns that his hero isn't what he expected. Description: Beshte's dad is injured while creating "Hippo Lanes," so Beshte must step in and take over the job. Description: After floodwaters threaten the Pride Lands and Bunga comes up with a quick fix, Kion and the other members of the Lion Guard learn that the quick and easy solution to a problem is not always the best. Description: When Simba leaves Kiara in charge of Pride Rock for the first time, Kion reluctantly agrees to obey her which proves difficult when Janja tries to take advantage of Kiara’s inexperience and hatches a plot to take over the Pride Lands. Description: Ono injures one of his eyes, and doesn't want to take it easy for the eye to heal properly for fear of no longer being allowed in the Lion Guard. Description: During a celebrated holiday in the Pride Lands, Kion and his friends rescue a jackal pup from Janja but soon discover that he is in a family of con artist jackals and the matriarch, Reirei, manages to even dupe Kion into letting them stay. Description: The Lion Guard worries about how Fuli wants to be alone all the time. Description: Fuli learns a lesson in teamwork when she goes on a mission alone and overexerts herself, leaving her defenseless. Episode: 9 - Follow That Hippo! Description: An elephant child follows around Beshte, who he considers his hero. However, while pretending to be Beshte, the hyenas chase him down, leaving it up to Beshte to rescue him. Description: The rest of the Lion Guard is stunned when Bunga becomes the go-to babysitter for all the Pride Lands' parents. Description: A group of bees interrupts a traditional peace ceremony between the elephants and the lions, which causes the elephants to stampede and The Lion Guard must rescue them. Description: A ferocious monitor lizard named Kenge bites some of the members of the Lion Guard, temporarily paralyzing them. Description: The Lion Guard learn about a plot against the giraffes' leader and suspect Makuu is behind it. Description: A gorilla warrior named Shujaa comes to help the Lion Guard in the battle against Scar. Description: The Lion Guard chase away a baboon comedy troupe that has been distracting the other animals with their antics and stealing their food. Description: Ono begrudgingly becomes the protector of a cuckoo bird's egg left in his nest and chases off an African harrier hawk who has come to the Pride Lands to hunt for tasty new treats. Description: After using the Roar of the Elders in anger, Kion unwittingly summons the Pride Lands' greatest villain, Scar in his Volcano Ghost Form. Description: After the Lion Guard accidentally wakes a group of hibernating crocodiles who become furious that they now have to suffer through the dry season in the Savanna, Scar seizes the opportunity to wreak havoc in the Pride Lands. Description: Beste ends up alone in the Outlands and Scar uses the opportunity to attack the Lion Guard's strongest member. Description: A noisy bachelor herd moves in next door to Rafiki. 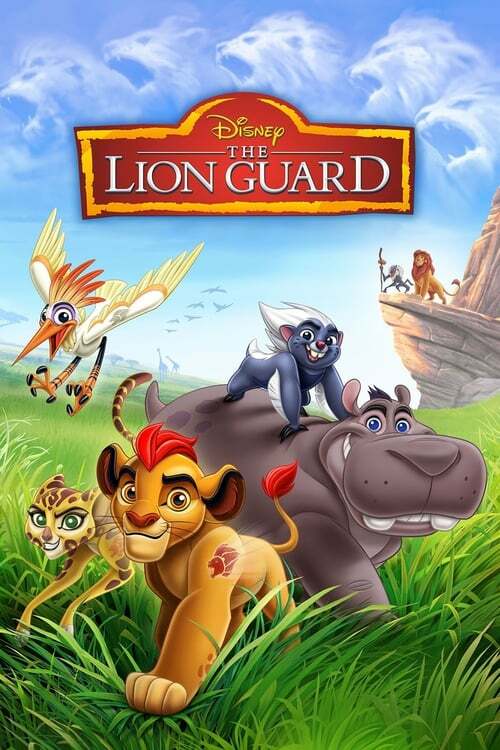 Description: The Lion Guard must try to gain the assistance of Thurston the Zebra in helping to combat a tsetse fly plague, which is slowing down their efforts to rescue Jasiri and two hyena cubs, who are facing a dangerous predicament in the Outlands.